He also referred to himself as a 'ginger white prince'. Prince Harry was only 12-years-old when his mother, the late Princess Diana, died in a car crash in Paris. Nearly 20 years later, the Prince admits he first buried his emotions after losing his mom, instead of dealing with them head on. "For a huge part of my life I didn’t really want to think about it," Harry said in a documentary for ITV focusing on his charity Sentebale which he founded in memory of his mother. Fortunately, things changed and prince now admits he feels "energized, fired up" and "lucky enough to be in a position to make a difference." The change came in two stages. The prince has previously credited his military background for giving him confidence, as well as his charity work in Africa. 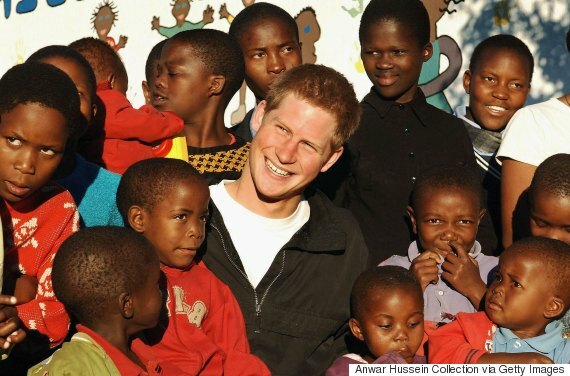 During the interview, the 32-year-old prince jokingly referred to himself as a "ginger white prince," explaining that he wasn't sure what to do when he first landed in Africa. Many years later, the prince continues to have a love affair with the continent, and even hopes it he can pass this love to his future children one day. "For me, now, I have this love of Africa and it will never disappear and I hope it carries on with my children as well," he said. This time last year the prince also spoke about his mother's death admitting he was left with "a gaping hole that could never be filled."